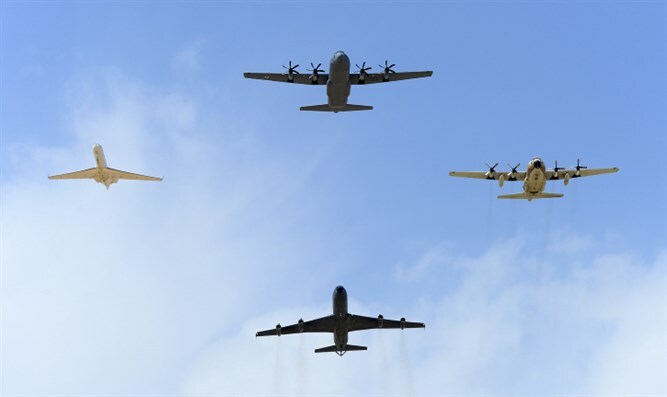 Air Force says they are sorry for causing pandemonium when they practiced for flyover unannounced on Thursday. The IDF apologized for causing widespread panic among Tel Aviv residents on Thursday morning when fighter jets practiced for an upcoming flyby without informing the public. Israel's Air Force traditionally performs a flyover on Independence Day. In order to prepare for the complicated aerial maneuvers, pilots commonly practice flying sorties for weeks before. However, the low-flying F-16 fighter jets that buzzed above Tel Aviv on Thursday morning sent residents into a panic. Scared Tel Avivians mistakenly assumed that the planes were part of an enemy attack on Israel's biggest city amid rising tensions between Israel and Syria. "The army is sorry for the panic that was caused,” said the IDF. "These practice runs take place as part of the air force’s desire to ensure a safe, high quality, and respectful flyover for the 70th Independence Day."